After years of opposing mandatory labeling of food products that contain GMOs (genetically modified organisms), the Campbell Soup Company recently announced its decision to switch sides in the debate. The American canned soup producer now says that not only will they voluntarily label all of their products that contain GMOs, but they will also “advocate for federal legislation that would require all foods and beverages regulated by the Food and Drug Administration (FDA) and the U.S. Department of Agriculture (USDA) to be clearly and simply labeled for GMOs.” The company is also breaking its former ties with the Grocery Manufacturer’s Association over the latter’s organized opposition to federal legislation that would require labeling of GMO products. Campbell’s Soup has always been and remains a pro-GMO company. They understand and accept that GMOs are good for both the environment and for civilization. The only thing that has changed is their new acceptance of the “out and proud” model of marketing. But in embracing this approach, Campbell’s Soup has unfortunately fallen for one of the anti-GMO lobby’s favorite wedge strategies. Why must labeling be mandatory? Because otherwise many companies will not label, and those that do may be singled out by anti-GMO lobbyists for consumer boycotts and brand damage. . . . Let’s look on the bright side of labeling too. Once GMO-derived products are labeled, there is no logical impediment to having more of them. Celiac-friendly baking products derived from GMO wheat? It’s your choice. AquaBounty salmon? It’s your choice. Labeling does not lead to a ban – quite the reverse. Labeling could lead to many more GMO products on our shelves, if consumers choose to buy them. Once products are labeled, asking then for a ban is illogical. I want to make this point very clear. Once GMO products are labeled, anti-GMO lobby groups will have sacrificed their best argument. No-one is being denied the ‘right to know’. Moreover, the antis will have no defensible reason to call for GMO bans – because then they would be the ones denying consumer choice. If they lobby retailers not to stock GMO AquaBounty salmon, or White Russet potatoes or Arctic Apples, the antis will be unambiguously reducing choice. They [the anti-GMO lobby] have successfully demonized GMOs and the companies who produce them, largely through misinformation, distortion, cherry picking, and outright lying. Now they want to capitalize on that groundwork by labeling GMOs. The denouement of this story is predictable. As soon as the USDA allowed the organic label to be standardized and regulated, the organic food industry exploded. The USDA organic label suddenly conferred legitimacy to the industry in the eyes of the general public. This was exactly the result the organic lobby wanted all along. In pushing for mandatory GMO labeling, the anti-GMO lobby is using the exact same bait-and-switch strategy, and Mark Lynas unfortunately appears to be falling for it. The anti-GMO camp says that they are simply advocating for consumer choice and transparency in marketing. According to their narrative, they just believe people have a right to know what’s in their food. But they are being disingenuous. The moment the FDA mandates GMO labeling, they will have their golden opportunity to go in for the kill by asking why the government is labeling GMOs if there is nothing to be concerned about. They will use the GMO label to enhance their fear-mongering and will continue in their efforts to ban GMOs. By their own open admission, labeling is the anti-GMO lobby’s preferred means to their desired end, which is the banning of GMOs nationwide. It is incredibly naïve to believe that giving in on the labeling issue will thwart that goal. Political and practical problems aside, there is absolutely no scientific case to be made for GMO labeling. 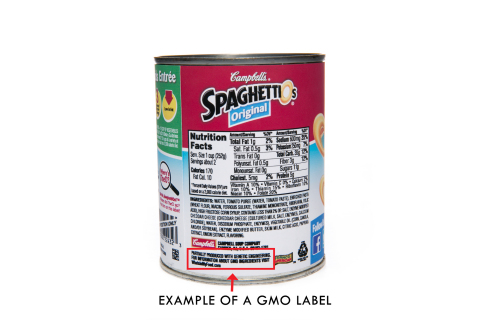 In just the same way that the organic label conveys zero information about the quality of the product, a label indicating whether or not a food product contains GMOs tells us nothing about what is actually in the food. The GMO label would only tell consumers how the ingredients in the food were produced, and this is a completely different conversation. Genetically modified corn and non-genetically modified corn are indistinguishable from each other; consumers will not be able to tell the difference just by looking at them or eating them. This is something a sizable portion of the general public has had difficulty understanding. When scientists developed the so-called “fish tomato” by inserting an antifreeze gene from the Arctic flounder fish into a tomato in order to increase the latter’s frost tolerance, the hysterical response of the general public revealed a troubling lack of knowledge of even basic biology. According to a 2001 survey conducted by the Food Policy Institute, 22 percent of polled Americans incorrectly believed that “tomatoes genetically modified with genes from catfish would probably taste ‘fishy’,” while another 10 percent of respondents were unsure. Another fact seldom known or appreciated by the general public is that genetic modification is only one production method among a large host of others. This means that labeling GMOs is completely arbitrary. Instituting a label that demarcates GMO products from non-GMO products would perpetuate a false dichotomy. If we need to label GMOs, why not also label all the other methods and processes that went into making the food? For example, if we need to label foods that have been genetically modified, we might as well require a label indicating foods that are the product of a forced hybridization between two cultivar species that could never occur naturally. This is exactly how the common garden-variety strawberries you buy at your local grocery store are made. Or consider mutation farming. A great deal of the food we routinely eat and take for granted is produced using radiation to induce favorable or desired mutations in the plant to enhance its quality. Should the USDA mandate a label for foods made in this way? Most of the same people who want to label GMOs, especially those who are not well-read on the issues, will answer in the affirmative. (In fact, the 2001 Food Policy Institute survey found that 34 percent of Americans incorrectly equate mutation farming with genetic modification of food, believing that “genetically modified foods are created using radiation to create genetic mutations.”) But it’s very telling that the organic lobby is not pushing for legislation that would require mutated foods to be labeled. The reason is very simple: organic farmers grow mutated crops all the time. A label indicating food that has been mutated with radiation would have to go side-by-side with the organic label we have all become familiar with, and this would result in a great deal of confusion among consumers. Organic farmers also routinely and regularly use copper as a pesticide, but you never hear the organic industry pushing for legislation to require foods blasted with copper to be labeled as such. Yet uninformed people continue to associate pesticides with GMOs or other non-organic farming. The public is being systematically misinformed by anti-GMO groups, and mandating GMO labeling will only confuse and mislead people further. It is also counterproductive economically, because GMO labeling laws would place an unnecessary burden on all companies affected by such legislation. The solution to combating the anti-GMO propaganda machine is not to give in to their demands in the hope that doing so will backfire on them. It won’t.